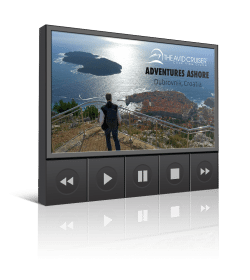 Launched in 2017, Seabourn Encore is Seabourn’s largest and most lavish ship to-date. Photo courtesy of Seabourn. 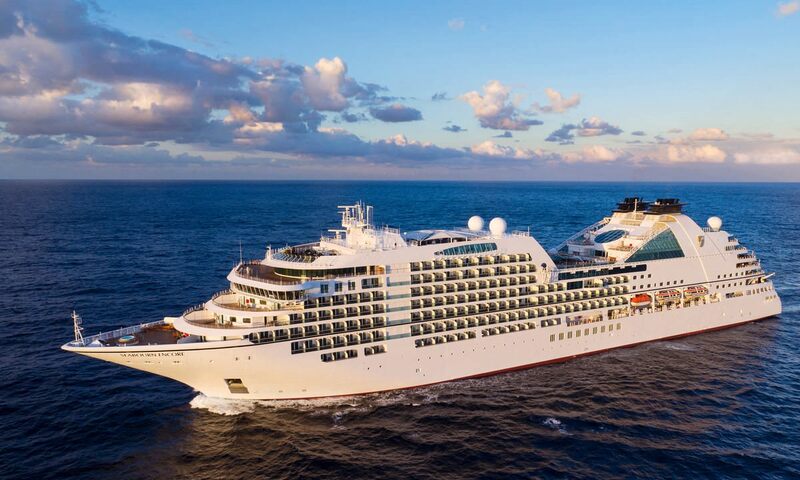 The newest and largest ship in the Seabourn fleet, the 600 guest Seabourn Encore and her upcoming sister Seabourn Ovation are like stretch versions of the line’s hugely popular Seabourn Odyssey, Sojourn and Quest. Launched in early 2017, she adds sophisticated new décor throughout her suites and public rooms, imagined by whizzbang designer Adam D. Tihany. Yacht-like and more polished than ever, his contributions take Seabourn – and Seabourn Encore – to a new level. 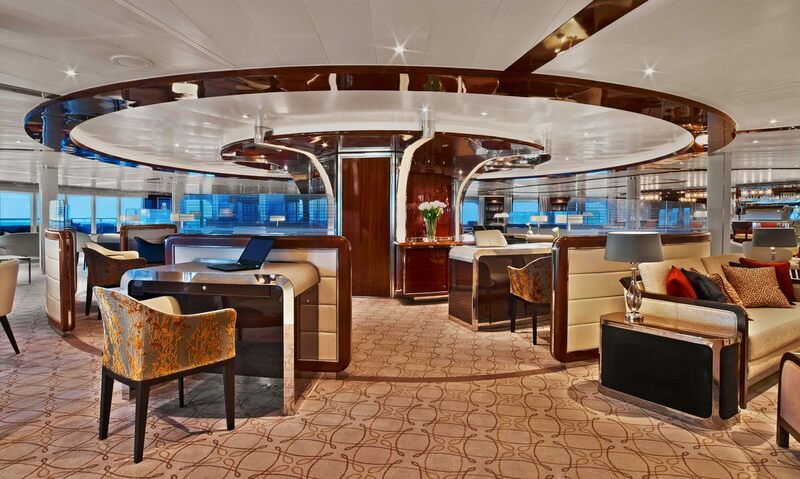 Like all Seabourn ships, suites are lavish, welcoming and amenity-laden aboard Seabourn Encore. Photo courtesy of Seabourn. All 300 suites aboard Seabourn Encore include a wide variety of premium amenities, including in-room beverages stocked with your preferences; walk-in closets with plush bathrobes and slippers; umbrellas, a world atlas and hair dryer in-suite; complimentary video-on-demand; bathrooms with full-sized tub and stand-up shower; exclusive Molton Brown toiletries; and welcome champagne and canapes. Guests who elect to book Owners, Signature, or Wintergarden Suites receive additional amenities. These include a fruit basket; fresh orchids or potpourri in your bathroom; complimentary internet access; fresh flowers in your suite; an espresso machine; complimentary private airport transfer (up to 50 miles); a choice of daily newspaper; and a wellness bag exercise kit. The most common type of accommodation onboard are the Veranda Suites. Labelled as Categories V1 to V6, these all range between 246 and 302 square feet, in addition to a veranda that ranges from 68 and 83 square feet. The suite life only gets better from there. Penthouse Suites measure 450 to 677 square feet depending on category, while Penthouse Spa Suites (Cat PS) offer up complimentary access to the Spa at Seabourn along with special L’Occitane fragrances along with an in-suite soundtrack (upon request) and a selection of in-room soaps by Hermes, L’Occitane, Baudelaire, and Salvatore Ferragamo. For the ultimate indulgence, go for the Wintergarden or Grand Wintergarden Suites. These spacious rooms have their own wet bar, glass-enclosed solarium with soaker tub and day bed, and dining for six. 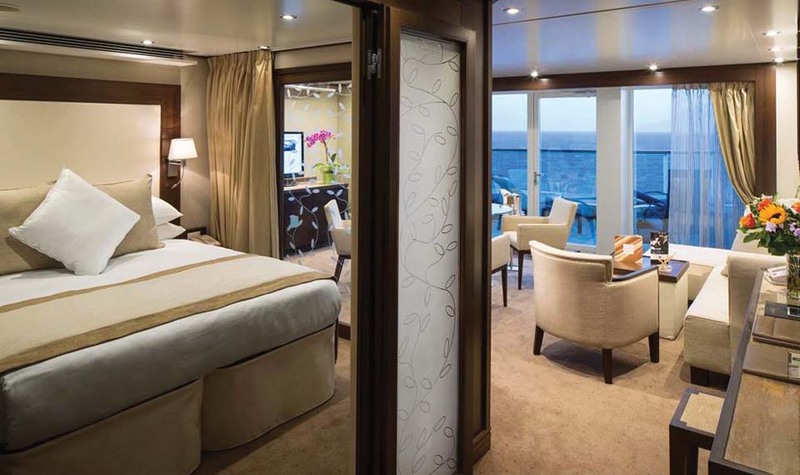 Note that, unlike Seabourn’s other ships, Seabourn Encore does not offer fixed-window oceanview suites. 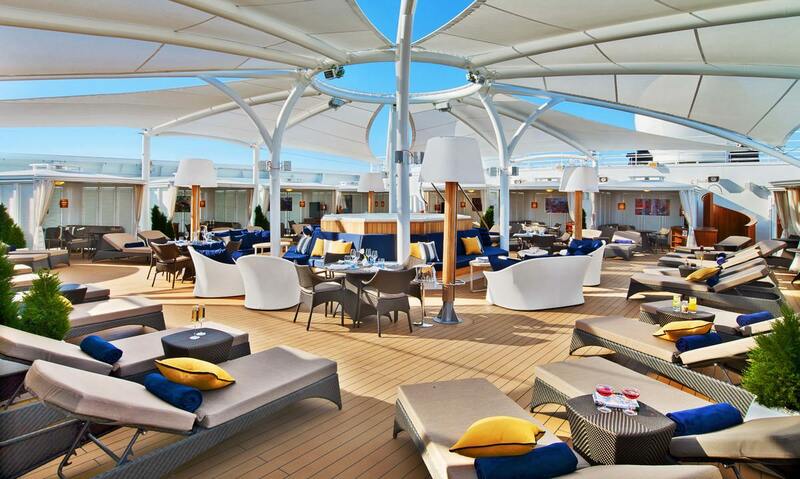 The striking new look of Seabourn Square aboard Seabourn Encore. Photo courtesy of Seabourn. Seabourn Encore is laid out in a similar fashion to Seabourn Odyssey, Sojourn and Quest, with public rooms typically placed all the way aft, and accommodations all the way forward. And while many of the public spaces may look identical to those on Seabourn’s earlier ships, substantial décor changes have been made to make Seabourn Encore (and the forthcoming Seabourn Ovation) unique. Seabourn Square is still the heart of the ship, though its swanky new design is a trendsetting one that will no doubt raise the bar for cruise ship décor. Gone are the high walls that characterized past ships, revealing an open-plan area with 180-degree views that serves as both a superb coffee bar as well as the ship’s informal Guest Relations and Shore Excursions area. A wealth of books on topics of interest are available here as well. 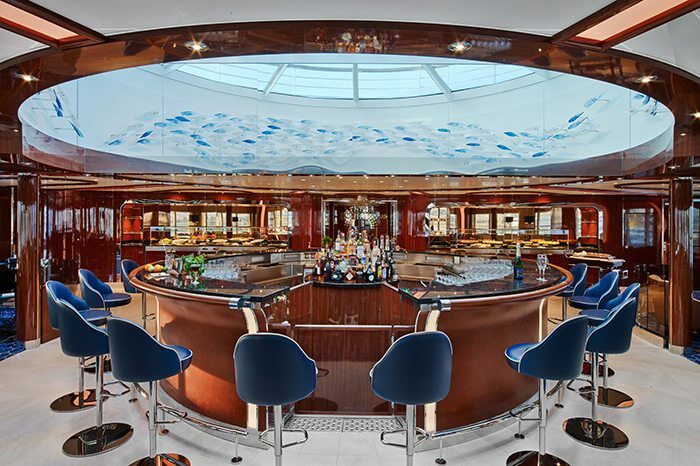 The Observation Bar, Seabourn Encore. Photo courtesy of Seabourn. Both of Seabourn’s trademark watering holes – The Club and The Observation Bar – have received the Tihany Treatment, filled with nautical hues and rich, highly-polished woods. The Observation Bar high atop the ship is particularly noteworthy for its new design that feels more open and yet more intimate than on the line’s past ships, while The Club benefits from additional seating and more vibrant colours. The Retreat has also been re-thought. This premium relaxation spot high atop the ship now sports private cabanas and a unique menu with food, drinks and Champagne on offer. There is a an additional charge for this exclusive space, but it is well worth it, particularly on the line’s warm-weather itineraries. The Retreat comes at an additional cost, but it’s worth the price of admission. Photo courtesy of Seabourn. In keeping with the theme of choice, foodies will drool over the massive Grill by Thomas Keller. Seabourn’s signature chophouse experience takes up nearly the entire width of the ship on Deck 8, and also features outdoor seating on an adjacent terrace. A cocktail program and extensive wine list complement the fine cuisine on the menu. The Restaurant has been given a new, stunningly futuristic look onboard Seabourn Encore. It serves up breakfast, lunch and dinner (depending on itinerary; check your Seabourn Herald for details) in a casual, open-seating environment. Don’t miss the fabulous wine collection built into the wall near the restaurant’s entrance. For alternative fare, The Colonnade offers up lavish breakfast and lunch buffets, followed by menus of regional cuisine that rotate nightly. Indoor and outdoor seating is available. The outdoor veranda is particularly spacious – and wonderful – on warm nights at sea. Exclusive to Seabourn Encore is Sushi, a Japanese-themed dining venue that takes the space formerly occupied by the Card Room on past vessels. In addition to a slew of Japanese creations, don’t miss the extensive menu of Japanese beers, sakes and cocktails to complement the meal. In the end, Seabourn Encore offers everything that Seabourn is known for. She may be larger than her fleetmates, but the additional amenities and cool new look should be reason enough to take her for a spin around the ocean. 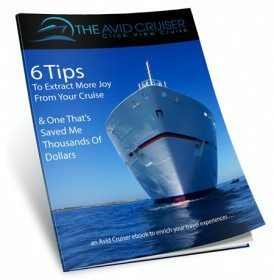 Want My Help With Your Seabourn Cruise?